Bharat Darshan. 2019 Republic Day Tribute to the Indian Army Infantry Regiments. 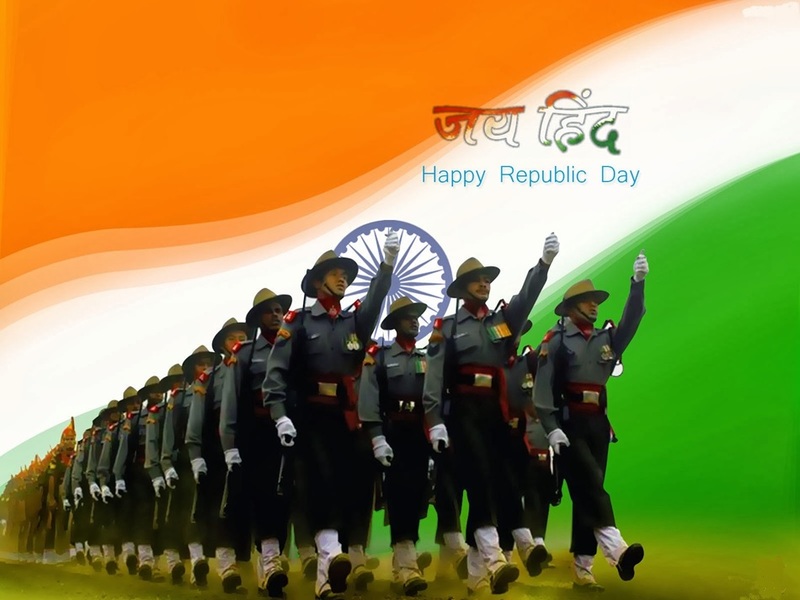 In celebration of Republic Day of India on January 26, 2019, I pay my tributes to the Infantry Regiments of the Indian Army who defend our Republic. It also mentions Naga warriors (like Ghatotkach) and warriors from Kamrupa (Assam) who were experts in handling war elephants. The famed fighting ethnic groups like Dogras, Rajputs, Sikhs, Jats, Gorkhas, Garhwalis, Kumaonis, Biharis and Assamese were molded by the British into the European Regimental system. Initially, the British Indian units did their own recruitment. Then a mother or base depot was established to train and supply recruits. These metamorphosed into the Regimental Centers that today train and supply recruits to various battalions of the Regiment (that are generally serially numbered). Thus, depending upon the size of the Regiment, a Centre could feed on six to twenty battalions. The Regimental Centre is the ‘alma mater’; it is the repository of its traditions, trophies, and artifacts. The new recruit joins the Centre, becomes a trained soldier, takes his oath of loyalty and joins his Battalion. Some two decades later he returns to the Regimental Centre for his release and discharge drill. He goes back home as a retired soldier and pensioner. This unique Regimental system creates a mini ethnic-universe of sorts – a cultural microcosm that faithfully replicates and preserves the cultural and ethnic background and context that the recruit comes from. It is the primary system of bonding for combat and creates an extended family system. It gives the recruit and young officer an identity and a deep sense of belonging. It forges the bonds of camaraderie and trust that see the soldier through the stress and trauma of combat. Bharat Darshan. 2019 Republic Day Tribute to Indian Army Infantry Regiments. Indian Regiments have performed superbly in the first and Second World Wars in diverse battlefields over the whole world. Post-Independence they have kept up this sterling performance. The most recent test of the Regimental system came with Kargil and once again the sterling worth of the Indian Regimental system and the ethos it generates was proved beyond a shadow of a doubt. The CNN, BBC, Star TV, and other channels put martial India on telematic display for the whole world to see. The Regimental system, in essence, is the primary basis for combat motivation in the Indian Army. It provides a sense of military identity – through unique and colorful uniforms and accouterment – hackles, lanyards, cap badges, and shoulder flashes and ornate turbans that tie the recruit to centuries of martial traditions of bravery and sacrifice as a way of life. Regiments have their Colors, their sacred Flags. They have their battle honors, their rich customs and traditions, and rituals. Rituals tie us to our origins. These weave the skein of a distinct ethnic identity dedicated to fostering combat bonds, cohesion, and tremendous motivation. · Fixed Class: Regiments like the Grenadiers, Rajputana Rifles, Rajputs or Kumaonis have fixed ethnic groups, viz Dogras, and Jats, Jats and Rajputs, or Ahirs and Kumaonis or Dogras and Sikhs or Rajputs and Gujjars etc. From these simple organizational ingredients has been born a tremendous system of combat cohesion, combat bonding, and combat motivation. Men do not sacrifice themselves on the battlefield for the pay they get. Many years ago Philip Mason had written: “Men may come to the colors for pay, but it is not for the pay alone that they win the Victoria Cross”. The Regimental system motivates them to make the supreme sacrifice. Bharat Darshan. 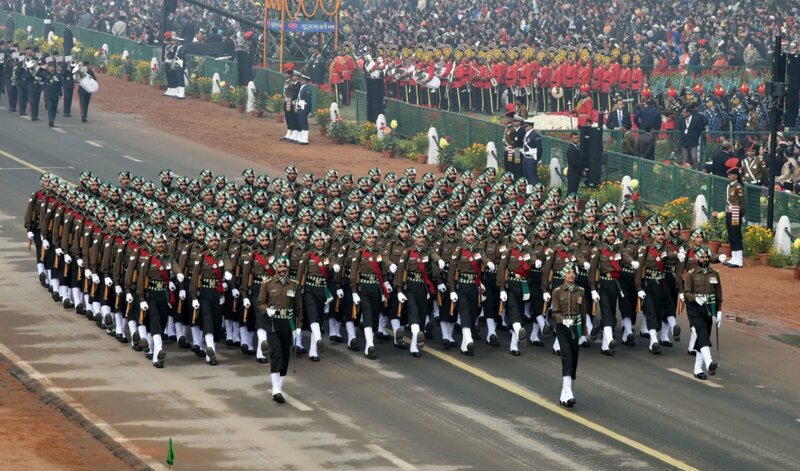 2019 Republic Day Tribute to the Brigade of the Guards. The first all class mixed regiment was raised in August 1949, by grouping the senior most battalions from four senior infantry regiments. The Regiment was accorded the senior position in the infantry and takes the first rank in the arm. Punjab, Grenadiers, Rajputana Rifles, and Rajput Regiments provided the battalions that started the Brigade of the Guards. Succeeding battalions were raised by direct recruitment. Its battalions have formed part of United Nation forces in Gaza (Middle East) and Angola. 2019 Republic Day Tribute to The Brigade of The Guards. The Guards have made a special name for themselves in the Indian Army, by their combat record and excellence in almost all fields of war and peace. 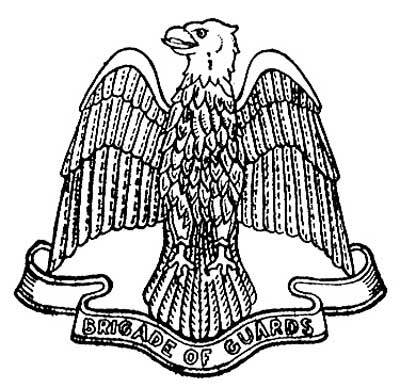 The regimental insignia is the mythological eagle king, Garuda. The Regimental Centre is in Kamptee, near Nagpur, in Maharashtra. Pre-Independence. Delhi 1803; Egypt 1876-1917; British East Africa 1878; Afghanistan 1878-80; Kandahar 1880; Burma 1891; China 1900; East Africa 1914-1916; Mesopotamia 1914­1918, Egypt 1915, Gallipoli 1915, France and Flanders 1915, Kutal Amarah 1915; Palestine 1916-1918; Tigris 1916; Macedonia 1918; Afghanistan 1919; Donbaik 1943; Italy 1943-1945; Burma 1945; J&..K 1947-1948; Selinghar; Carnatic; Mysore; Ava; Pegu; Suez Canal; Neils, Krithia; Loos; Aden; Point-551; Kanghaw; Naushera; Mangalore; Hyderabad; Gaza; Megiddo; Nablus; Curais; Seringapatnam; Beurabone; Punjab; Multan; Persia; Reshire; Khooshab; Central India; Basra; Shaiba; Ctesiphon; Defence of Kut-AI-Amarnath; Sidi Barrani; Keren; Cassino; Castele Hill; Leswarree; Deig; Bharatpore; Khelat; Mahrakpore; Chillanwallah; Gujarat and Punjab. Post-Independence. Akhaura, Burki, Gadra Road, Hilli, Naushera, Gurais, Shingo River Valley, Sylhet, and Ganga Sagar. Theatre Honors. J&K 1947-1948, Rajasthan-1965, Punjab-1965, East Pakistan-1971, and J&K-1971. 2019 Republic Day Tribute to The Parachute Regiment. Bharat Darshan. 2019 Republic Day Tribute to The Parachute Regiment. The Parachute Regiment took an active part in the liberation of Goa in 1961 and in Operation Pawan (Sri Lanka) with nearly 80% of the Regiment deployed in the Island in 1987-89. 3 Para and 6 Para conducted air landed operations in aid of the Government of Maldives. The Parachute Battalions have in addition to their participation in other campaigns, formed part of United Nations Operations in Gaza and Korea. Today, the Parachute Regiment is perhaps the only Regiment to have taken part in every theatre and every operation in and outside the country. 2019 Republic Day Tribute to The Mechanized Infantry Regiment. 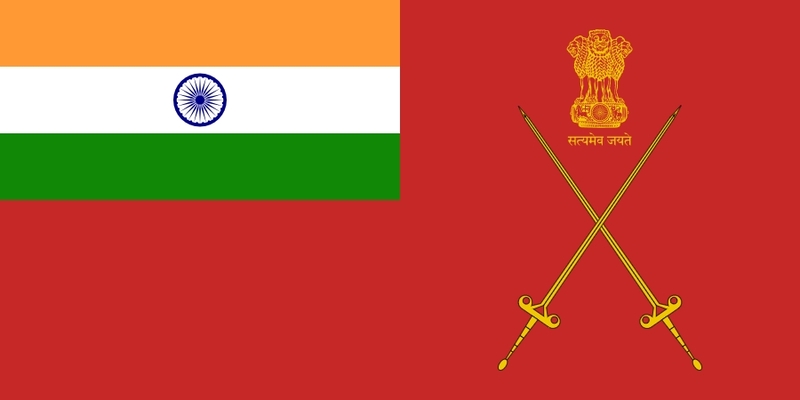 It is the youngest regiment of the -Indian Army and is a unique blend of military heritage originating since 1776 and the latest state of the art equipment profile. After the 1965 Indo-Pak war, a need was felt to provide matching mobility to infantry units operating with Armoured formations. In 1969 some of the oldest battalions from various infantry regiments were equipped with Armoured Personnel Carriers (APCs), TOPAZ, SKOT, and BTR-60. These battalions remained affiliated with their erstwhile Infantry Regiments and Regimental Centres. Bharat Darshan. Tribute to The Mechanized Infantry Regiment. 2019 Republic Day Tribute to The Punjab Regiment. Bharat Darshan. 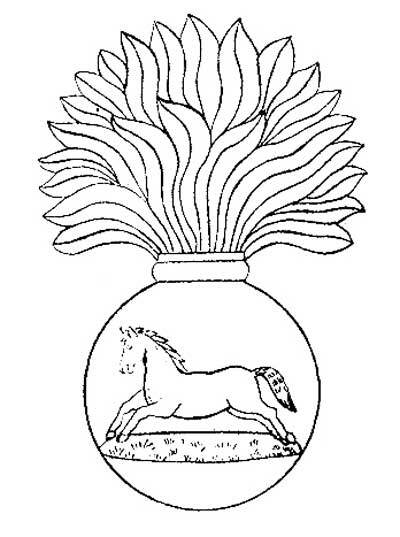 Tribute to The Punjab Regiment. 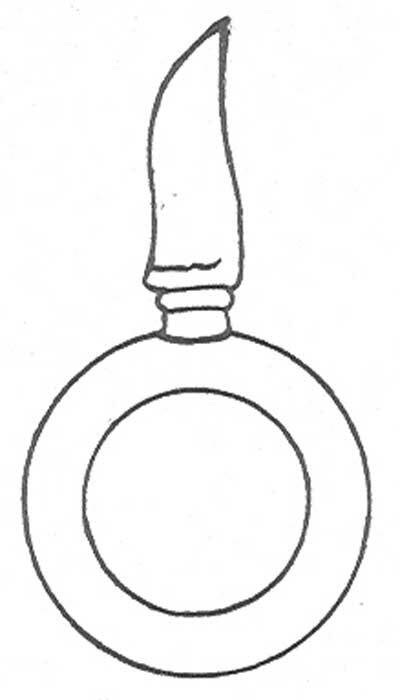 The Regiment insignia is a Galley, an ancient Greek or Roman warship with a bank of oars and sail. It is perhaps the only Infantry insignia of a naval vessel anywhere. 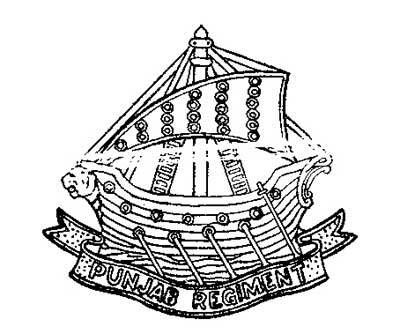 It was awarded to the 69th Punjabis (later 2nd Battalion of 2nd Punjab Regiment) in recognition of the readiness to serve overseas after the battalion had fought in eight overseas campaigns by 1824. In recent years the Punjab Regiment has contributed towards United Nations Peacekeeping Operations by sending two of its battalions overseas, i.e. in Gaza and Angola (3 and 14 Punjab, respectively). 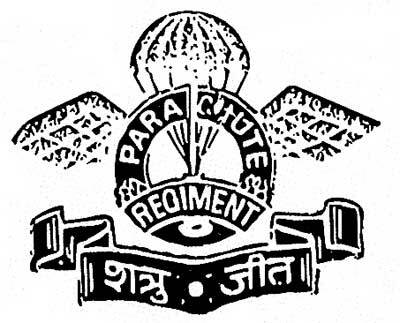 First and Second battalion of Punjab Regiment were chosen to form the elite 1 Parachute (Special Force) and 1 Guards, respectively. The motto of the Regiment is Sthal wa Jal, or, By Land and Sea. The Regimental Centre is at Ramgarh, Bihar. 2019 Republic Day Tribute to The Madras Regiment. The Madras Regiment today stands firmly and proudly on the deep-rooted foundation of valor and sacrifice displayed by the warriors of South India. The four great Kingdoms of Chalukyas, Cholas, Pandyas, and Cheras ruled various parts of South India till the end of 9th Century AD. Medieval India saw the rise of the Cholas whose empire extended from West Bengal in the east to south of Bombay in the west and covering entire South India less the Cheras in Travancore and encompassing the islands of Sri Lanka, Malaysia, Cambodia, and Sumatra. The soldiers of the Madras Regiment are the descendants of the Pallavas, Cholas’ Pandyas, Telugus and Cheras whose history of valor is unparalleled. The origin of the Madras Regiment in Its present form can be traced to the occasion when the levees were organized into companies of 100 men each, and two battalions were thus raised on 4 December 1758 and placed under Command Colonel (later Lord) Robert Clive to defend Fort St George at Madras. Thus, the Madras Regiment became the oldest element of Indian Infantry. The number of battalions of the Regiment soon increased to a maximum of 52 battalions in 1826. Bharat Darshan. Tribute to The Madras Regiment. 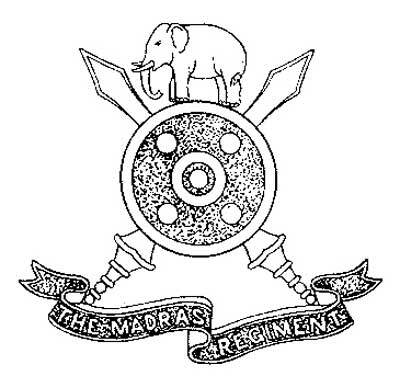 After independence, the Infantry battalions of Travancore, Cochin, and Mysore State forces were amalgamated into the Madras Regiment. Post-independence saw the consolidation of the Regiment and re-affirmation of the versatility and valor of the South Indian troops when the battalions of the Regiment fought fierce battles during J&K operations in 1947-48. Sino-Indian conflict 1962. Indo-Pak War 1965 and 1971. The deployment of as many as seven battalions of the Regiment in Sri Lanka during ‘Operation Pawan’ in 1987-89 was a testimony to the faith the Indian Army reposed in the loyalty, dedication, and valor of the troops of the Madras Regiment. Two battalions of the Regiment have been awarded unit Citation by the COAS in recognition of their splendid service in combating insurgency in J&K/Punjab. Further, two battalions of the Regiment served the nation on the world’s highest battlefield in the subzero Siachen Glacier. 2019 Republic Day Tribute to The Grenadiers. The oldest Grenadier Regiment of the armies in the Commonwealth belongs to the Indian Army. A composite battalion comprising Grenadier companies of Bombay Sepoys won the famous battle of Talegaon in 1778. By 1784, the group of Grenadier companies had been given the title of Bombay Grenadiers. Bharat Darshan. Tribute to The Grenadiers. Pre-Independence. Mangalore, Mysore, Seringapatnam, Egypt, Kirkee, Koregaon, Beni AIi, Meanee, Hyderabad, Multan, Punjab, Central India, Abyssinia, Kandahar, Afghanistan 1878-80, Burma 1885-87, Somalil and, Afghanistan 1919, Great War, Egypt, Gaza, Megiddo, Nablus, Palestine, Aden, Tigris, Kut-el-Amara, Baghdad, Mesopotamia, Africa, Kohima, Kalewa, Meiktila, Taungtha and Pwabwe. 2019 Republic Day Tribute to The Maratha Light Infantry. Bharat Darshan. Tribute to The Maratha Light Infantry. The quick-moving Marathas with their traditions of mountain warfare were ideally suited to and were formed into a light infantry regiment. 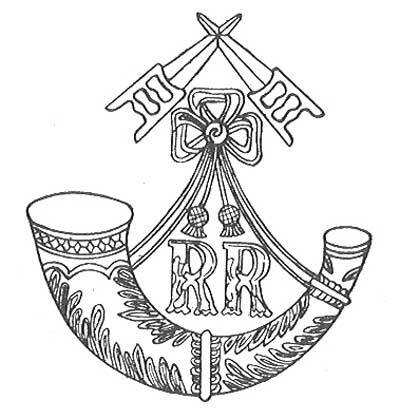 The Regimental insignia is a bugle and cords with a pair of crossed swords and a shield. They chose the bugle for their insignia, as it best represented the light infantry mode of combat by skirmishers, controlled by orders issued on the bugles. The Regiment wears the insignia with a red and green hackle. 2019 Republic Day Tribute to The Rajputana Rifles. Bharat Darshan. 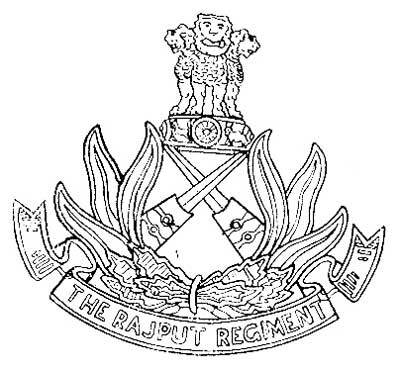 Tribute to The Rajputana Rifles. Each of these battalions had long and glorious past. They have taken part in some of the bloodiest battles in many theatres of the world. The Rajputana Rifles has the unique honor of having won the first Victoria Cross of the Indian Army in 1856. This was awarded to Captain John Augustus Wood of the 2nd Battalion in the Battle of Reshire in Persia. During World War II, the battalion of this Regiment fought in every theatre in which the Indian Army was involved. Three of them, the 1st, 4th, and medium Machine Gun Battalion fought in Eritrea in North Africa and Italy as part of the famous 4th Indian Division, whose fighting record was among the finest in World War II. It was in the fighting in Keren in Eritrea that Sub Richpal Ram of the 4th Battalion won a Victoria Cross (Posthumous), the first VC of the Battalion and that of the Division in World War II. The second Victoria Cross of the Regiment, during World War II, was won by Company Havildar Major Chhelu Ram again of the 4th Battalion, at Djembe in Tunisia at the end of the North African Campaign. This battalion alone won nearly eighty gallantry awards including two Victoria Crosses in a five-year campaign. The outbreak of hostilities in Kashmir again saw the Rajputana Rifles in the thick of battle. 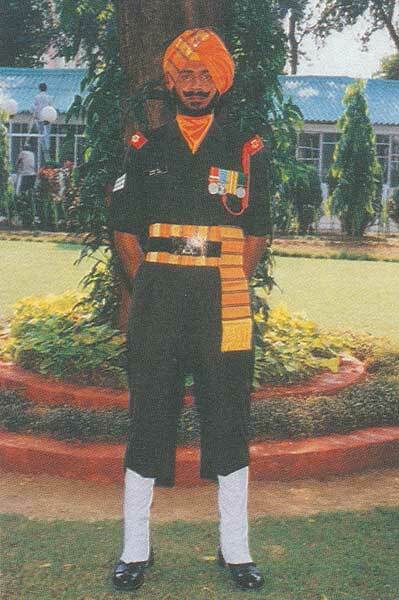 Company Havildar Major Piru Singh of the 6th Battalion earned for the Regiment its first Param Vir Chakra at Tithwal. 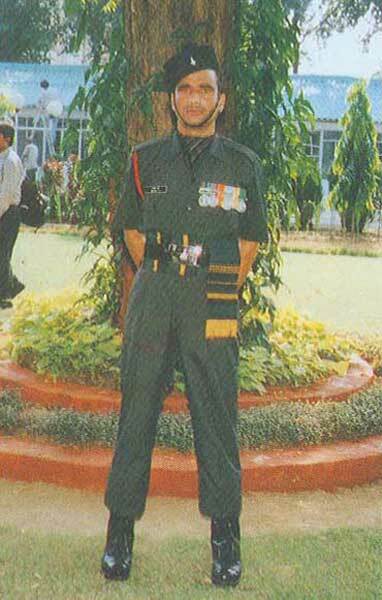 During the brief period of the Jammu and Kashmir operations, the Regiment was awarded 1 PVC, 2 MVCs. 14 VrCs and 49 Mentioned-in-Dispatches. 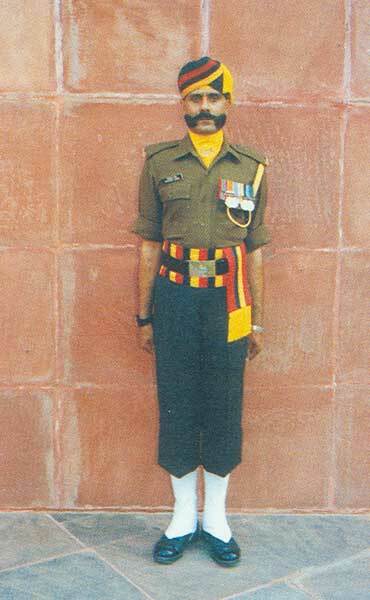 In 1970, Captain Umed Singh Mahra of a young battalion the 19th won for the Regiment its first Ashok Chakra in Counter Insurgency Operations. 2019 Republic Day Tribute to The Rajput Regiment. The men had loyally retained the Colors which had been shot to pieces in the earlier battles for the fort and stitched it up again to raise it at the fort after it was taken. Bharat Darshan. Tribute to The Rajput Regiment. The Regiment draws its men from Uttar Pradesh, Rajasthan, Madhya Pradesh, Haryana, Bengal, and Punjab. It thus has almost all classes in it, viz Rajputs, Gujjars, Brahmins, Bengalis, Muslims, Jats, Ahirs, Sikhs (M&.R) and Dogras. 2019 Republic Day Tribute to The Jat Regiment. Bharat Darshan. Tribute to The Jat Regiment. 2019 Republic Day Tribute to The Sikh Regiment. The SIKH Regiment is one of the highest decorated regiments of the Indian Army, with 72 Battle Honors, 15 Theatre Honors and 5 COAS Unit Citations besides 2 PVCs, 14 MVCs, 5 Kirti Chakras, 67 Vir Chakras, and 1596 other gallantry awards. The chequered history of the Regiment spanning 154 years is bloodied with heroic deeds of valor and courage which have few parallels if any. Although the Regiment’s official history dates back to 1846, the biological heritage has its roots in the noble teachings and sacrifices made by the ten Gurus. The SIKH Regiment of today has imbibed the culture and chivalry of Sher-e-Punjab Maharaja Ranjit Singh’s erstwhile KHALSA Army. The ethos and traditions of the Regiment got formalized with the raising of ‘Regiment of Ferozepore SIKHS’ and ‘Regiment of Ludhiana SIKHS’ on 1 August 1846 by Captain G Tebbs and Lieutenant Colonel P Gordon respectively. A major portion of the substance of the Regiment traces its origins to Maharaja Ranjit Singh’s Army. With a humble beginning of two battalions in 1846, today the SIKH fraternity has grown 20 battalions strong. Bharat Darshan. Tribute to The Sikh Regiment. 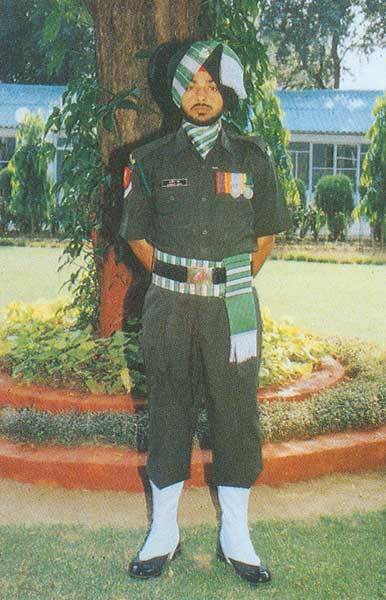 Havildar Issar Singh with 21 Other Ranks made the supreme sacrifice repulsing 10,000 of the enemy. This sacrifice was recognized by the British Parliament when it rose to pay its respects to these brave young soldiers. All 22 were awarded the Indian Order of Merit, the then highest decoration for the Indian soldiers. This ‘Kohinoor’ of the SIKH Regiment is one of the ten most famous battles of the world. Even to this date, this battle forms part of the school curriculum in France. The Regimental insignia comprises the sharp-edged quoit or Chakra which the Khalsa armies had used in combat. 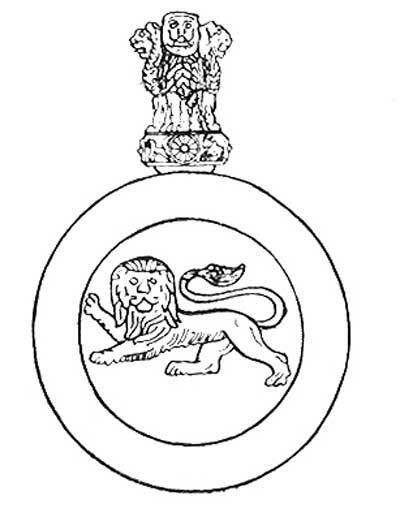 The Chakra rings on lion, symbolic of the name (Singh) every Sikh carries. The Regimental motto is Nische Kar Apni Jeet Karon, (Resolved to Win) taken from the Sikh warrior’s I prayer before battle. The Regiment draws its men I from amongst the hardy Jat Sikhs. The Regimental Centre is at Ramgarh Cantt (Bihar). 2019 Republic day Tribute to The Sikh Light Infantry. The Sikh Pioneers were later merged with the Sappers and Miners. The World War and its need for additional troops saw the rise of the Mazhabi and Ramdasia Sikhs as a regiment in 1941. Bharat Darshan. Tribute to The Sikh Light Infantry. In view of its linkages with the Pioneers, the Sikh Light Infantry received its earlier seniority after the Sikh Regiment. The Sikh Light Infantry draws its manpower from the Mazhabi and Ramdasia elements -amongst the Sikhs. They had long formed part of the armies of the Sikhs’ Tenth Guru and in later Khalsa armies. 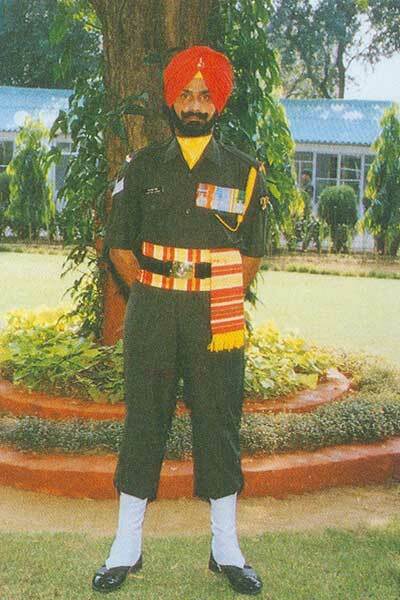 The regimental insignia is the quoit or the chakra used by the Sikhs in combat, mounted with a kirpan the Sikh dagger. 2019 Republic Day Tribute to The Dogra Regiment. The Dogras who form the hardy and loyal population of the hill regions of Himachal Pradesh, Punjab, and J&.K have a lot of traditional soldiering. They had been in the service of the British for some years as part of the Frontier Force. 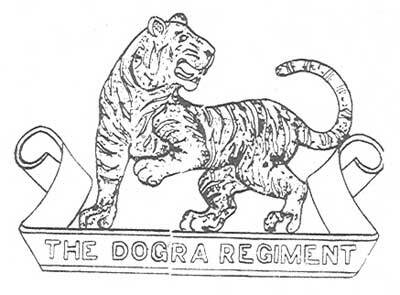 The Dogras formed into a regiment in 1887, and three Dogra Regiments were raised as part of the Bengal Infantry. Bharat Darshan. Tribute to The Dogra Regiment. Soldiering not only became a substantial part of the economic structure of the Dogra Hills but created social and cultural traditions built on the people’s association with the army. 2019 Republic Day Tribute to The Garhwal Rifles. Bharat Darshan. 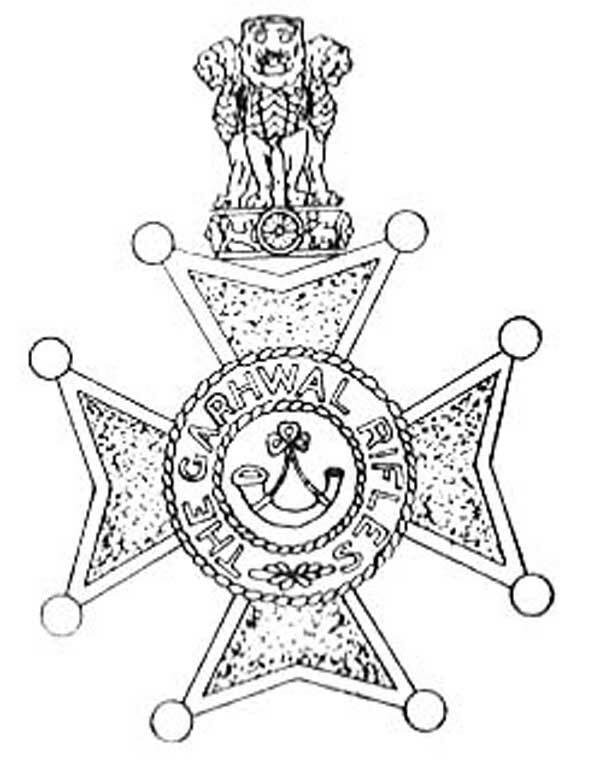 Tribute to The Garhwal Rifles. 2019 Republic Day Tribute to The Kumaon Regiment. Bharat Darshan. Tribute to The Kumaon Regiment. After 1857, in keeping with the class-based composition of the infantry, the Regiment comprised Rajputs, Jats, and Muslims. After the Great War, some Kumaoni battalions were raised separately, but the Hyderabadis continued and fought with distinction in the World War. 2019 Republic Day Tribute to The Assam Regiment. Bharat Darshan. 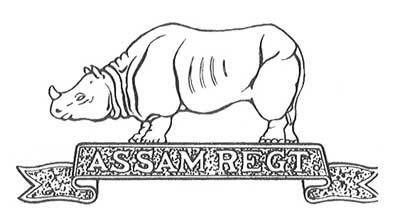 Tribute to The Assam Regiment. Badges of rank are Silver and Black. The sidearm is the ‘dah’. Its Regimental language is Hindi. The Regimental Centre is at Shillong. Pre-Independence. Jessami, Kohima, Aradura, Kyaukmyaung Bridgehead, Mawlaik, and Toungoo. 2019 Republic Day Tribute to The Bihar Regiment. Bharat Darshan. 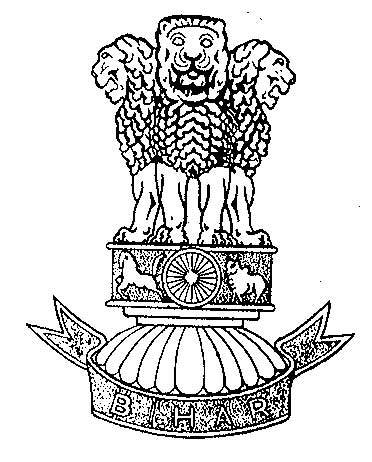 Tribute to The Bihar Regiment. The Bihari battalions raised by Mir Kasim had not only done well but beaten the British in some engagements. The Bihari, of, poorbiaj purviah soldier thereafter continued to provide the backbone of the Bengal Infantry of the British. The Bihari – particularly the Brahman – was not only an excellent soldier, but he was also quick to learn and apply the tactical drills with an initiative. He was disciplined when led by good officers, but capable of hostility when his beliefs and customs were disregarded. 2019 Republic Day Tribute to The Mahar Regiment. A Mahar battalion was raised in 191 7 and took part in the Great War, but was later merged with another regiment. Between the two wars, the Mahars .had persistently sought a regiment for themselves for service in the army. These efforts, marked by the quality and level of arguments advanced by the Mahar leader, Dr. BR Ambedkar, resulted in the Mahar Regiment being raised in 1941. Bharat Darshan. Tribute to The Mahar Regiment. The Regiment fought in Burma, Persia, and Iraq in the World War. In 1946, the Regiment converted to the specialist role of fielding medium machine guns, and for a decade and a half rendered most effective support in combat. 2019 Republic Day Tribute to The Jammu and Kashmir Rifles. Bharat Darshan. Tribute to The Jammu and Kashmir Rifles. Gulab Singh was one of the ablest Generals of Maharaja Ranjit Singh and later became the rule of the Jammu and Kashmir State. He and his legendary General Zorawar Sing led many spectacular campaigns to add Ladakh, Baltistan, Hunza, and Skardu to the State territories. Zorawar Singh mounted a breath-taking invasion of Tibet in 1841. The state force fought as Imperial Service troops in both the World Wars (under their own native officer). They distinguished themselves in East Africa, Palestine, and Burma. Their grimmest hour came in the 1947-48 Pakistani invasion of Kashmir. It was their heroic stand that gained time for the entry of the Indian Army and thus saved the Vale of Kashmir. They paid a steep price in blood and sacrificed over 76 officers, 31 JCOs and 1,085 Other Ranks. For their gallant stand, they earned three Maha Vir Chakras, 20 Vir Chakras and 52 Mentioned in Dispatches. The Regiment has a class composition of 75 percent Dogras with Gorkhas, Sikhs, and Muslims forming the other 25 percent. The Regimental insignia is an oval around the stat emblem of the sun. 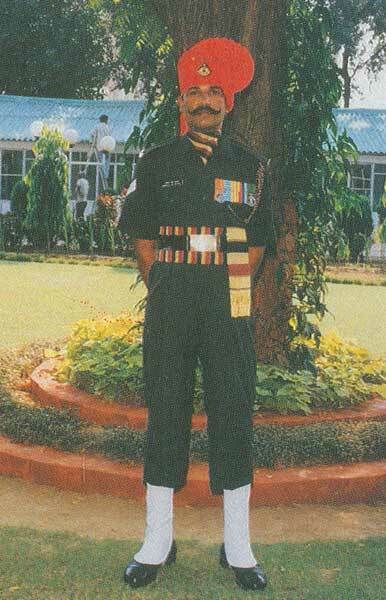 The Regimental motto is Prashasta Ranvirta (Valour in War is praiseworthy) The Regimental Centre is at Jabalpur, Madhya Pradesh. Pre-Independence. Ladakh 1834-40, Baltistan, Tibet, Gilgit, Yasin, Darel, Hunza, Nagar, Chilas, Chitral, Megiddo, Nablus, Kilimanjaro, Beho-Beho, Sharon, Palestine, East Africa, Afghanistan, Kennedy Peak, and Meiktila. 2019 Republic Day Tribute to The Naga Regiment. 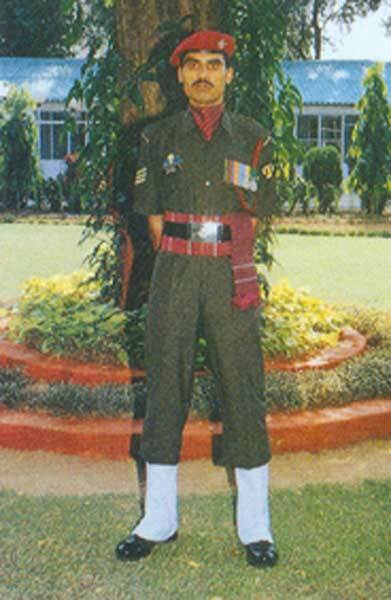 The Naga Regiment is the youngest Regiment of the Indian Army. The Nagas were quite well represented in the Assam Regiment and they also had access to other Arms and Services. 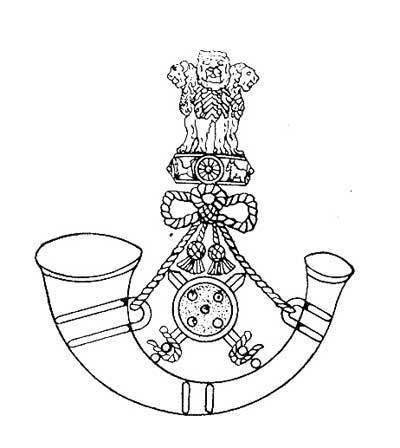 During 1960, the delegation of the Naga Peoples Convention put forward the proposal for a separate regiment to fulfill their desire of playing a greater role in the Defence Forces of India. 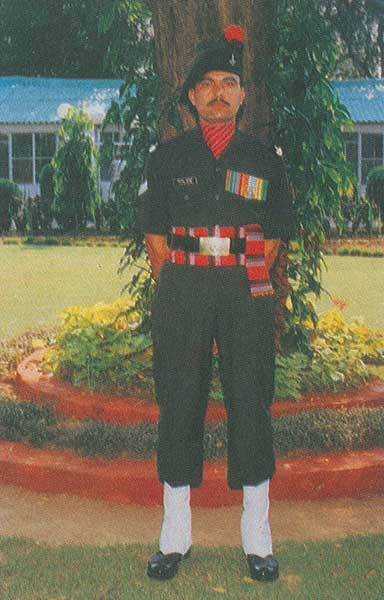 First Battalion (1 Naga) of the Regiment was raised at the Kumaon Regimental Centre, Ranikhet on 1 November 1970 under the Command of Lt Col RN Mahajan, VSM. 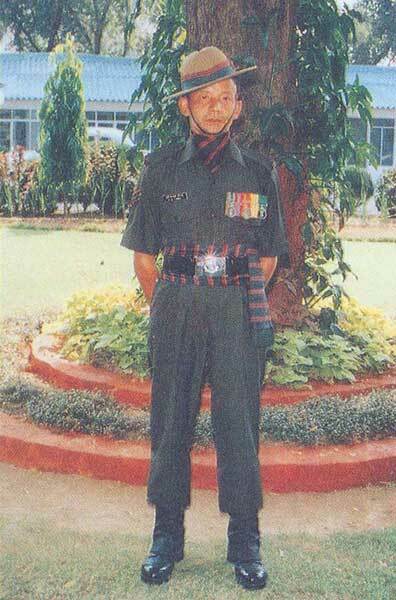 Being the only battalion, it was then designated as the NAGA Regiment. The manpower to raise this battalion was provided by battalions of Kumaon, Garhwal, and Gorkha (3 GR) regiments. 69 Naga enrolled directly from rehabilitation camps of underground Nagas. Bharat Darshan. Tribute to The Naga Regiment. However, the Regiment was to comprise 50 percent Nagas and remainder 50 percent of an equal number of Kumaoni, Garhwali, and Gorkhas. The battalion was awarded two Vir Chakras and two Sena Medals for their outstanding performance during this operation. 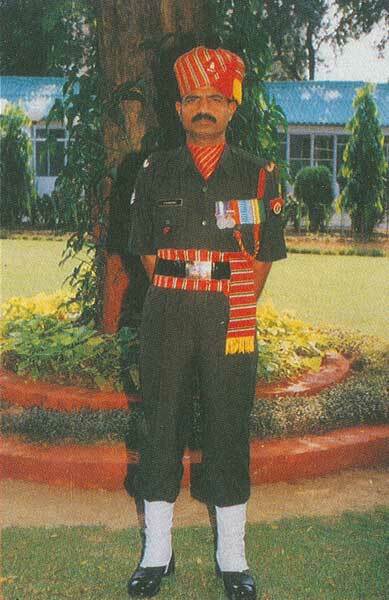 2 Naga has been awarded ‘COAS Unit Citation’ twice and both times for valor and chivalry in the face of the enemy. This battalion also took an active part in ‘Op Vijay’. The battalion has earned one MVC, two VrC, one YSM, one VSM, and nine Sena Medals. 2019 Republic Day Tribute to The Jammu and Kashmir Light Infantry. Bharat Darshan. 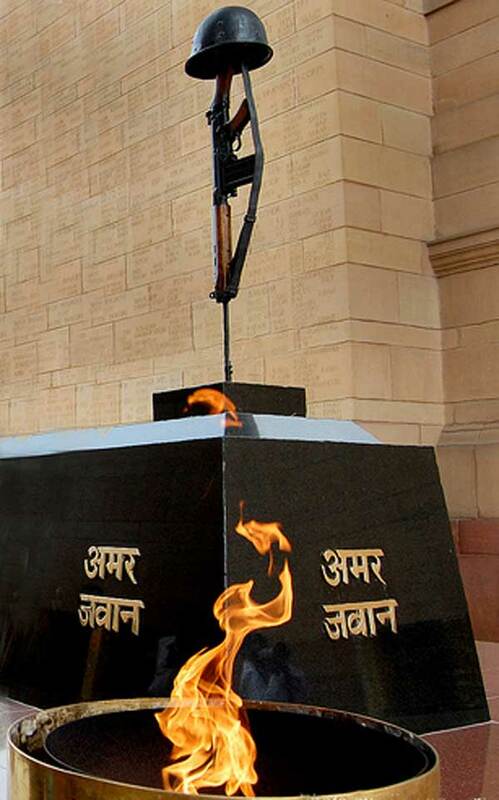 Tribute to The Jammu and Kashmir Light Infantry. These were later organized into militias responsible for specific sectors, e.g. ; Leh, Nubra, Jammu, Punch etc. Over a period, these were grouped into Militia battalions. Two of these were later converted into the Ladakh Scouts. 2019 Republic Day Tribute to The 1 Gorkha Rifles. Bharat Darshan. Tribute to The 1 Gorkha Rifles. 2109 Republic Day Tribute to The 3 Gorkha Rifles. 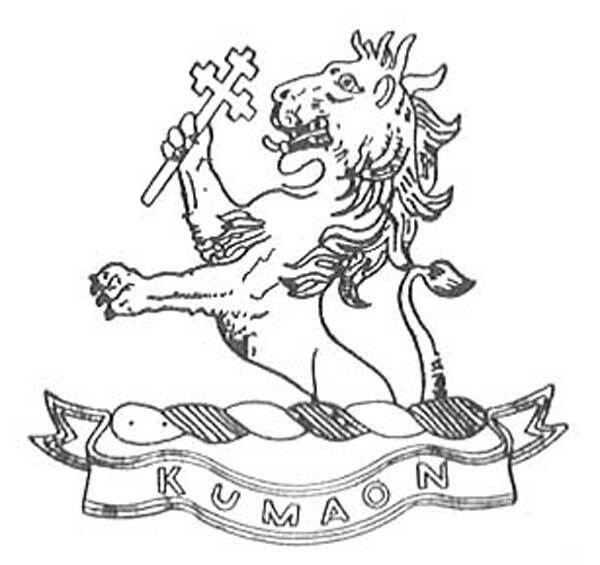 1st Battalion, 3rd Gorkha Rifles was raised on 24 April 1815 as “Kumaon Battalion”. In 1907, The Regiment was redesignated as 3rd Queen Alexandra’s Own Gorkha Rifles. The Regiment presently comprises five battalions. During the First World War, the Regiment distinguished itself in France, Gaza, and Palestine and won 18 battle honors. Bharat Darshan. Tribute to The 3 Gorkha Rifles. During the Second World War, the Regiment fought in Burma, Malaya, Java, Indonesia, Iraq, Persia, Palestine, North Africa, and Cyprus and again proved its mettle. 1/3 GR has the distinction of being the first battalion in the past-Independence period to carry out amphibious operations during the 1971 operation. 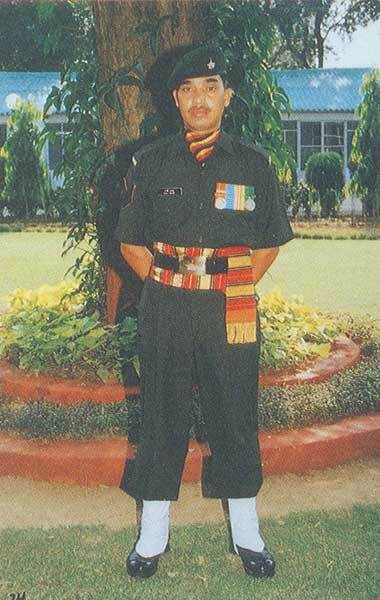 Colonel JR Chitnis, CO 1/3 GR was honored with the Ashoka Chakra (Posthumous) in Nagaland in 1956. Pre-Independence. Ahmed Khel, Afghanistan, Burma, Chitral, Terab, Punjab Frontier, La Bassee, Armentieres, Givenchy, Festubert, Neuve Chappelle, Aubers, France, Banders, Egypt, Gaza, EI Mughar, Nebi Samwil, Jerusalem, Tell Assur, Megiddo, Sharon, Palestine, Sharqat, Mesopotamia, Dierel Sheing, North Africa, Sittang, Kyaukse, Tuitum, Imphal, Bishenpur, Sakwang, Shenam Pass, Tengaupal, II Castella, Mante Della Gargancce, Mante Farneta, Mante Cavallo., Italy, Defence of Mel<tila, Rangaan Raad, Paybwe and Pegu. 2019 Republic Day Tribute to The 4 Gorkha Rifles. Bharat Darshan. Tribute to The 4 Gorkha Rifles. After independence, it is known as the 4th Gorkha Rifles. It operated in the Lushai hills in 1871, in China in 1900, and in Europe and Mesopotamia during the Great War. There were four battalions of the Regiment in the World War. One of the battalions formed part of the Chindits under Wingate. The third Battalion fought a fine action at Bilafond La, at heights of nearly 20,000 feet in 1987. Major Jackson in his book on the British Indian Army has called Fourth Gorkhas as the most traveled in the Indian Army. The Regiment’s manpower is from the Magars and Gurungs of Nepal. Its Regimental Centre is at Sabathu, Himachal Pradesh. 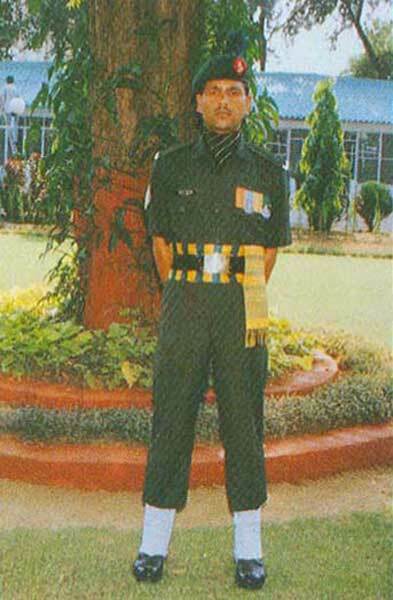 The Motto of the Regiment is ‘Kayar Hunu Bhanda Marnu Ramro,(It is better to die than to be a coward). 2019 Republic Day Tribute to The 5 Gorkha Rifles. 5 Gorkha Rifles was originally raised as 25th Punjab Infantry or The Hazara Gorkha Battalion on 22 May 1858 at Abbottabad. Later rechristened as 5th Gorkha (Rifle) in 1891, the Regiment has since acquitted itself with a dazzling record of military victories, valor, an array of awards not forgetting the unique feature of winning two VCs on a single day. It is the only Regiment to have won nine VCs in the Great Wars and has 49 battle honors to its credit. It saw hard fought actions in the scorched deserts of Gallipoli and Mesopotamia and rugged climate of Afghanistan during the First World War with an enviable martial account. Bharat Darshan. Tribute to The 5 Gorkha Rifles. The British conferred the title ‘Royal’ on the Regiment in 1921 in recognition of its superlative combat services in the World Great War. The Second World War too bore the testimony of sustained military glories with the ‘Fighting Fifth’ fighting their way through Iraq, Iran, Palestine, Italy, Lebanon, Burma, Java, Malaya, and Siam. In the post-independence era, the battalions of the Regiment continued with their forays in all the wars with élan and heroism now typical to the Regiment. 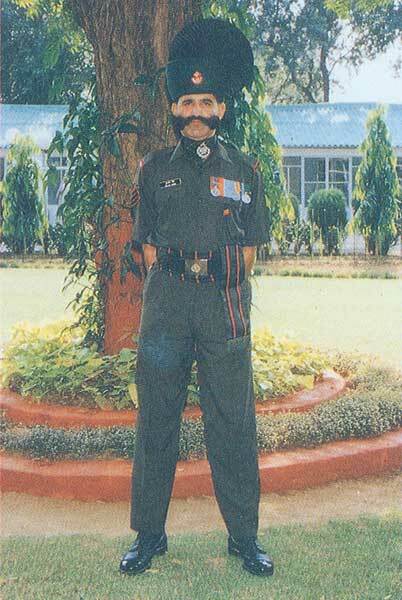 In the Hyderabad Action, the Regiment claimed one Ashok Chakra. Zojila pass was captured paving the way for the link up with Leh in 1948 and Dera Baba Nanak Bridge was captured in 1965. Concurrently, another battalion captured ‘Sehjra Bridge’ in Bangladesh. On the Western frontier, infiltration was undertaken in the Chicken Neck Sector with a masterly technique that completely surprised the enemy. The Regiment was honored with 4 MVCs together with 5 Battle Honors. In Sri Lanka, the Regiment earned one MVC and two VrCs. 2019 Republic Day Tribute to The 8 Gorkha Rifles. 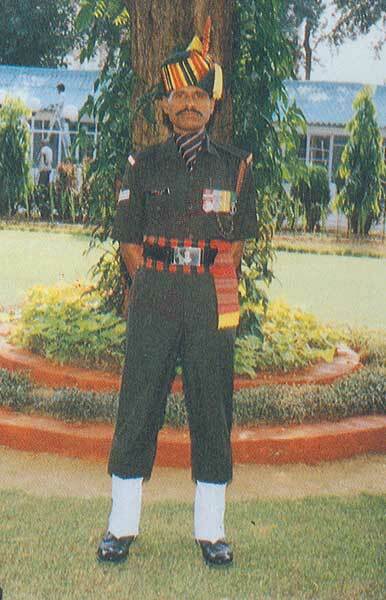 The Shiny Eight, popularly known in the Gorkha fraternity of the Indian Army, finds its roots of lineage to 16 Sylhet Local Battalion raised in 1824 and since then the identity of the Regiment has undergone transitions over the period to its present designation as the Eight Gorkha Rifles in 1907. The chronicles of the Regiment, spanning 176 glorious years, are replete with astonishing tales of heroism, guts, and sacrifice. Little wonder that the Regiment has acquired an enviably long tally of 56 Battle Honors, 4 VCs, 1 PVC, and 4 ACs. Bharat Darshan. Tribute to The 8 Gorkhas. The first VC came to the Regiment in October 1879 in its first-ever operational mission when its units were summoned to deal with Naga rebels. This was the first time that a regular army unit was ever employed in the Naga Hills. The Young Husband Expedition of 1904 was another jewel in the crown that brought VC again to the Regiment. Braving the high altitude climes of Tibet, the expeditionary force successfully stormed through the Tibetan fortress of Gyantse at 19000 feet. World War I testified the enigmatic valor and heroism of the Regiment during the course of combat services in Italy, France, Mesopotamia, and Egypt. 15 battle honors were earned during the period. 8 GR battalions also saw active overseas actions in Iraq. Egypt, Libya, Tobruk, EI Alamein, and Burma during World War II where the Regiment earned one VC and 22 Battle Honors. 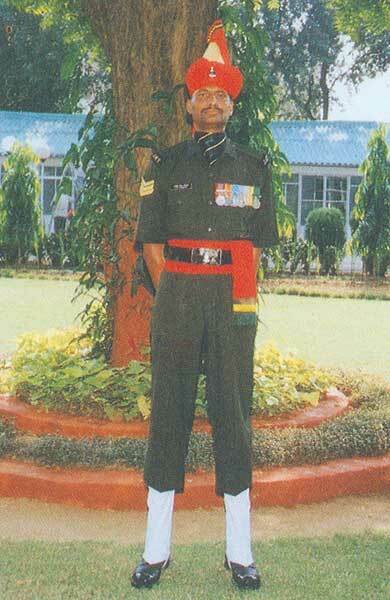 For this dauntless and gallant action, Lt Col Hari Chand was awarded Maha Vir Chakra. In the Chinese aggression of October 1962, Maj Dhan Singh Thapa, earned laurels for the Regiment while defending Pangong Lake (Ladakh Sector) with ferocious tenacity and held on magnificently against Chinese human wave attacks. 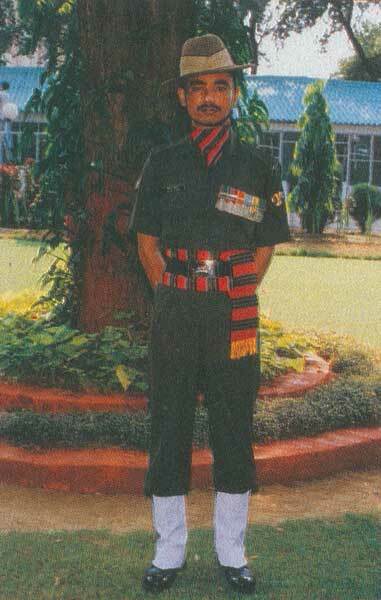 Maj Dhan Singh Thapa was honored with the PVC for his steadfastness and valor in this operation. 2019 Republic Day Tribute to The 9 Gorkhas. 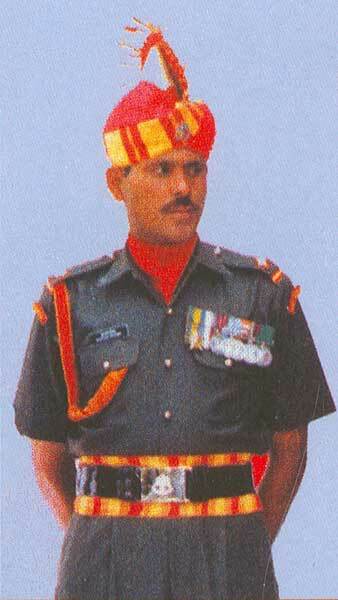 The history of the 9 Gorkha Rifles dates back to 1817 when it was raised as Infantry Levy at Fatehgarh. 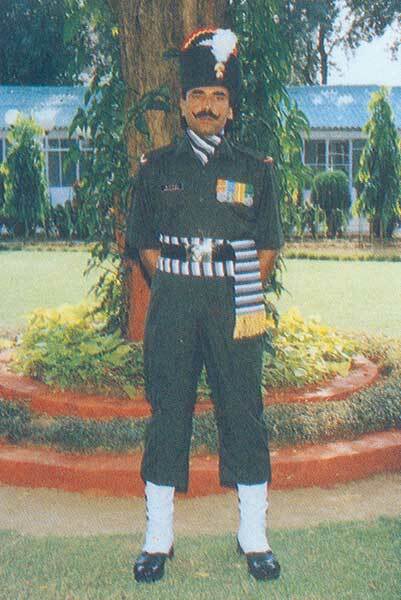 In 1823, it became a regular unit as part of the Bengal Native Infantry. After the reorganizations post-1857, the designation was changed to 9 Bengal Native Infantry with one of its companies formed by Gorkhas and other hillmen. Bharat Darshan. Tribute to The 9 Gorkhas. By then the Regiment had fought at Bharatpur and in the difficult battle of Sobraon in the Anglo Sikh War. In 1893, the Regiment became a wholly Gorkha unit of Khas Gorkhas, i.e. ; those who were more closely linked to Hindu ways as compared to the Buddhist ways of other Gorkha clans. 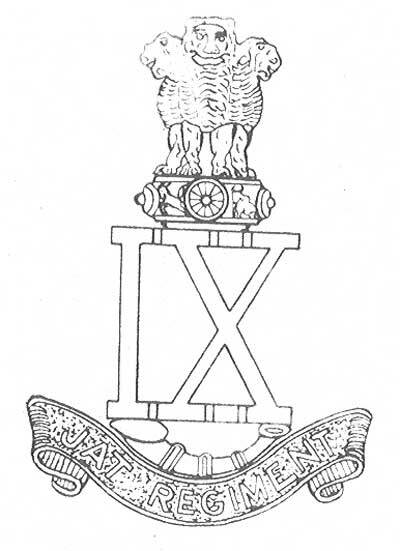 In 1901, the Regiment was designated 9 Gorkha Rifles. The 3rd and 4th Battalions formed part of the Chindits in Burma and earned a high reputation in Long Range Penetration operations. The Regiment continued the fine traditions in 1965 and 1971 and earned Battle Honors and gallantry awards. 2019 Republic Day Tribute to The 11 Gorkhas. First Raising. The history of 11th Gorkha Rifles, in fact, dates back to the year 1918. Four battalions were raised in Mesopotamia and Palestine in May 1918 by pooling companies from other Gorkha Regiments and Garhwal Rifles. These battalions also saw action in the Third Afghan War. The battalions were later demobilized from the Indian Army. The Second Raising. At the time of Independence, when the division of the Indian Armed Forces was being done, the question of the future employment of Gorkha troops also came up. At that time there were ten Gorkha Regiments in the Indian Army, each with two battalions. To settle the issue the Govt of India, Nepal, and Britain considered the matter and a Tripartite Agreement was signed on 9 November 1947. Bharat Darshan. 2019 Republic Day Tribute to 11 Gorkha Rifles. Transfer of troops to the British Army was to be on a purely voluntary basis. A referendum was held in the presence of representatives of the India and Nepalese Governments. Troops from the 7th and 10th Gorkha Rifles opted against transfer to the British Army in large numbers. 2/7 GR located at Santa Cruz Bombay as a whole opted against transfer to the British Army. In 1948, as the number of non-optees increased the Fourth and the Fifth were also raised. Later the First and the Second were raised on 1 September 1960 and 11 January 1963. 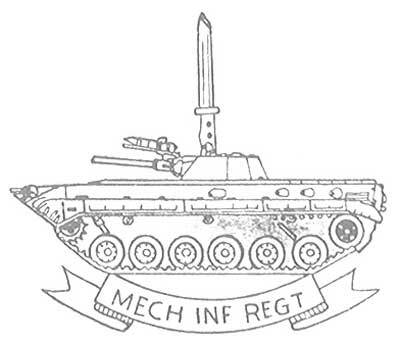 The 107 Inf Bn (TA) Affiliated to the Regiment was raised on 1 October 1960. The Sixth and Seventh were raised after the 1962 Chinese invasion.